The South of France offers unique and contrasting regions to experience by bike. 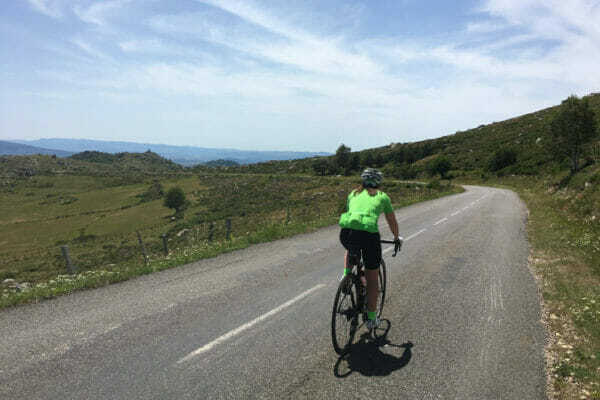 From the picture-perfect lavender fields of Provence, to the iconic Mont Ventoux, to the wild, remote Cevennes & Ardeche mountains, to the luxury of the Cote d’Azur, the South of France offers something for every cyclist. Take a look at our suggested itineraries, or contact us and we’ll create a perfect tour for you. 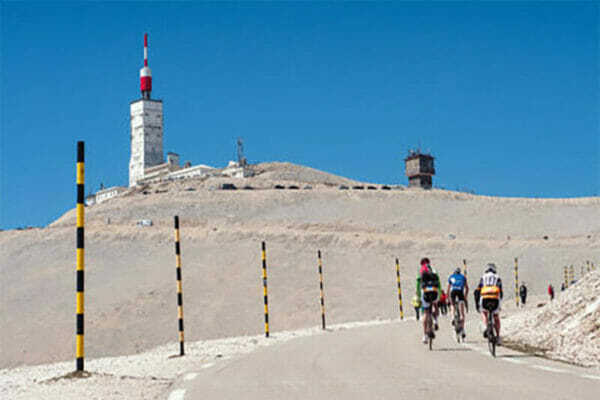 The Mont Ventoux is without a doubt one of the most famous mountains in Europe. Although only 1912 meters high, the Ventoux rises up as a giant up surrounded by the beautiful countryside of the Provence. Located on the last Alpine ridge near the Rhone-platform, you can see the Mont Ventoux from almost anywhere in the Vaucluse-Provence. The giant of Provence is also the highlight of many trips through this beautiful region in southern France. 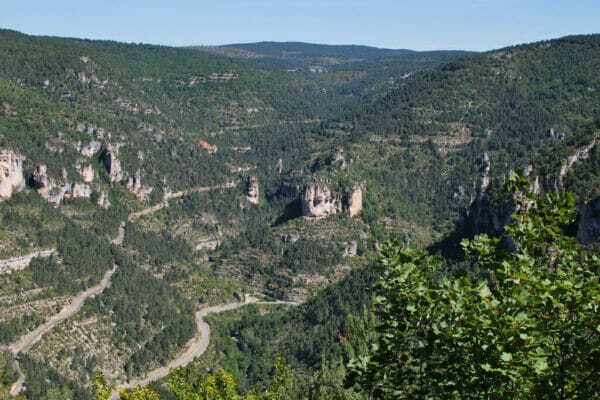 Its remoteness gives the mountain something gigantic and dominating and if the weather is clear, you can see the Alps in the east, the Cevennes to the west and the Mediterranean see in the south from its top. The Col du Faye is a climb in the Hautes-Alps with a climb from the East and one from the West. From the East the climb is 7.6 km long and 11.1 km from the West with a much more gentle gradient. The Mont Lozere climb is situated in Gard. This climb belongs to the Cévennes. Starting from Genolhac, the ascent is 18 km long, over this distance you climb 1300 meters. The average percentage is 7.2 %. The Mont Aigoual is situated in Languedoc-Roussillon. 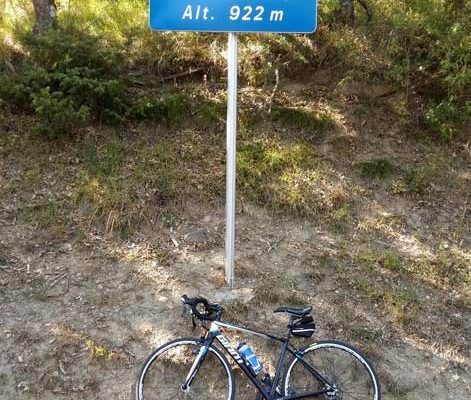 This climb belongs to the Cévennes. Starting from Le Vigan, the Mont Aigoual ascent is 37.3 km long. Over this distance, you climb 1336 meters. The average percentage thus is 3.6 %. But ESC are absolutely the most accommodating organizers i have ever had the pleasure of touring a place on a bike with. They are the best! I highly recommend them. ESC organised a wonderful training camp that included excellent guides, including pro's. Everyone was very generous with their time and advice. Highly recommend Eat Sleep Cycle. Tell us about your dream cycling holiday & we’ll do the rest.